This is Fred Akinmuyisitan, an albino living ‘fine’ in every sense of the word. Albinism has neither limited his abilities nor shrouded his talents in every way. As a scholar, he was successful and even in his career he keeps growing. Developing a thick skin to criticisms and discovering himself has been his escape route and compensation for his skin condition. 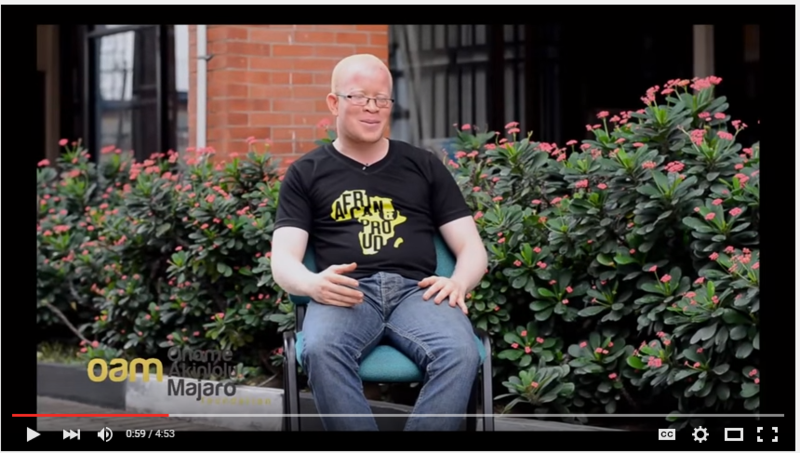 Most importantly, a nugget that would aid all albinos which are all embedded in the video clip.